Like the picture says...He fights cancer like a boss. As most of the world knows, Tater's is going to have his dream fulfilled and he's going to be meeting him sometime soon. I'm so excited for him and his family. I was able to talk briefly with his Mom, Lulu Singleton, about the awesome news. Here's what we talked about. How excited were you when The Rock's people contacted you about meeting Tater? We were ecstatic and definitely left speechless. What does Tater admire about The Rock? His strength and bravery. Most of The Rock's roles in movies are very heroic and that's something that Tater is very intrigued with. How long has he been a fan? I would say probably about 3 years old. He has always loved his movies. He loves WWE as well so The Rocks wrestling background is something else he loves about The Rock. 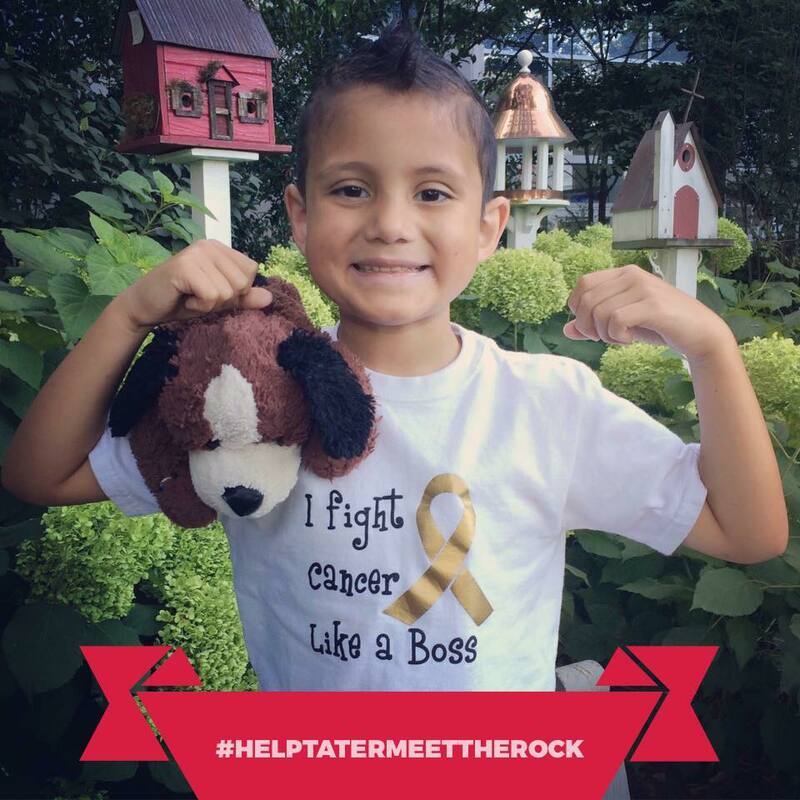 Now , how excited is Tater to meet the Rock? Congrats too ! He is so excited. He cannot believe he is going to meet his hero. It's truly a dream of his come true! Do you know when or can you share? We still have not got a set date but it will be soon. I know you love your family .. You can just see it in the pictures. What do you want everyone to know about Tater... Is there something you would like to share about the love of your son? He truly is one of the strongest and bravest kid you will ever meet. Everyone who has the honor of meeting him just fall in love with his kind and gentle soul. He has a smile that will melt your heart and is such a sweet boy. God has truly blessed Jesse and I with an angel. What keeps your family together during the good times and hard times.. ? Our faith. We belong to a very loving church and have been blessed throughout Gabriel's 4 1/2 year cancer journey. 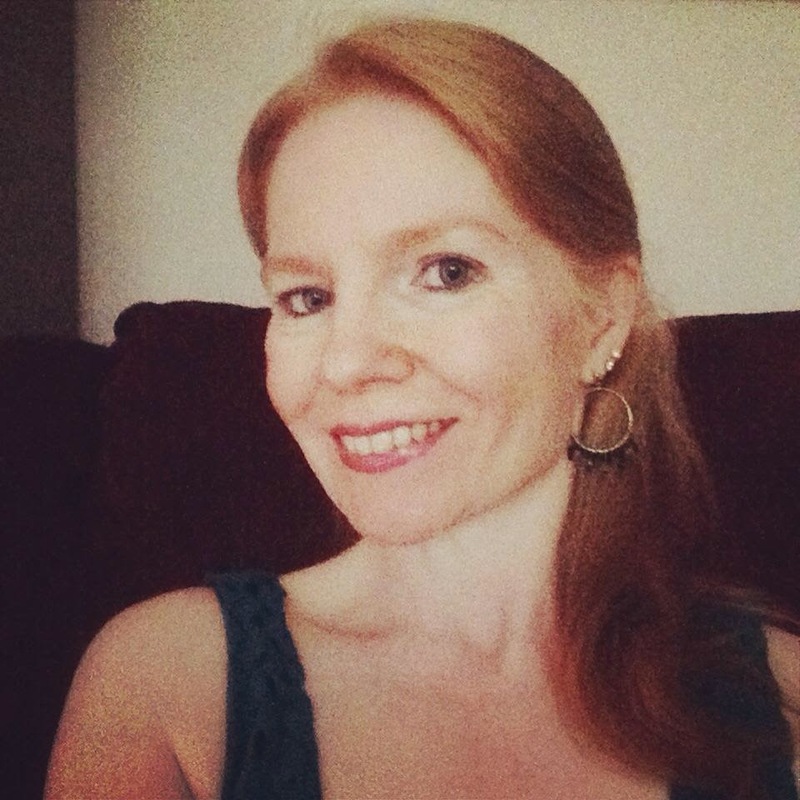 I share motivational quotes with my readers, can you share something with me that has kept you and your family strong or motivated? One final question, what are you going to say to the Rock when you get to meet him? Me: Thank you for making my dreams son come true!!! Then I will give him the biggest hug EVER!!! Here's a picture of Tater with his partner at work with Deputy Shawn Giles of Whitfield County Sheriff''s Office . Tater not only looks up to The Rock, but he also looks up to our local law enforcement deputies and officers. 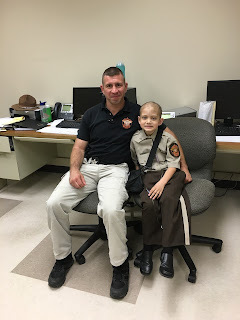 Tater was honored as a junior deputy with Whitfield County Sheriff's Office back in December.